The State Department’s recommendation clears the way to grant TransCanada permit for the $8 billion project. After years of efforts to halt the project by indigenous water protectors and various environmental groups, the Trump administration has greenlighted the construction of the Keystone XL pipeline. Two senior U.S. officials said on Thursday that the State Department "will recommend the pipeline is in U.S. interests, clearing the way for the White House to grant a presidential permit to TransCanada to build the $8 billion pipeline." The controversial pipeline will span 1,700-miles and move roughly 800,000 barrels of oil per day from Alberta, Canada to refineries along the Texas Gulf Coast. The announcement comes after Trump signed an executive order to advance the Keystone XL and Dakota Access pipelines in late January. 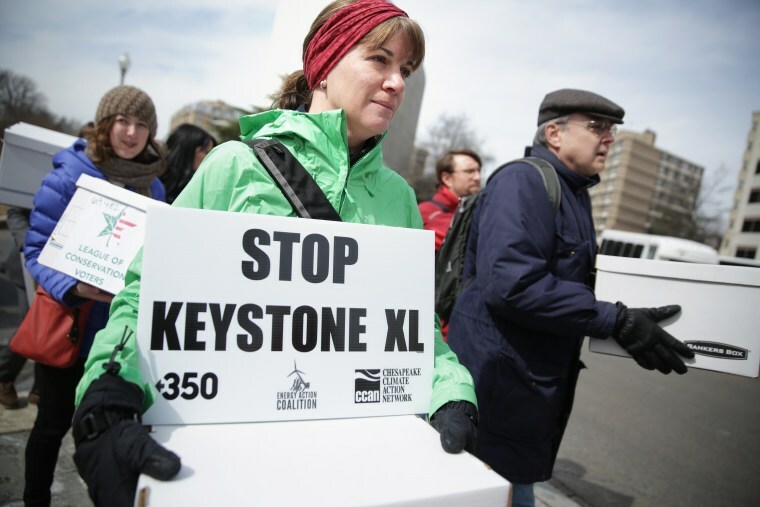 The Obama administration rejected the pipeline under the premise that it would undercut global climate change efforts. This post was updated on March 24 at 12:45pm to reflect more changes. Trump just approved the #KeystoneXL pipeline which will create only 50 permanent jobs and endanger millions of lives.